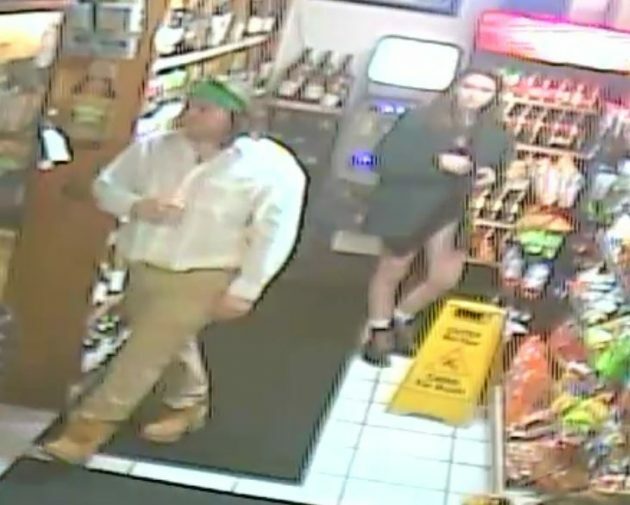 On Friday March 15th, a bottle of wine was stolen from the Gastown (formerly Phil’s Citgo) convenience store near Legends and the incident was captured on surveillance video. A white male and white female couple entered the store, and the female put the bottle of wine under her coat before leaving. The male had long brown hair held back by a green bandana and was wearing a button down shirt, khaki pants, and work boots. The female had long brown hair and was wearing shorts, combat style boots, and possibly the male’s sport coat.